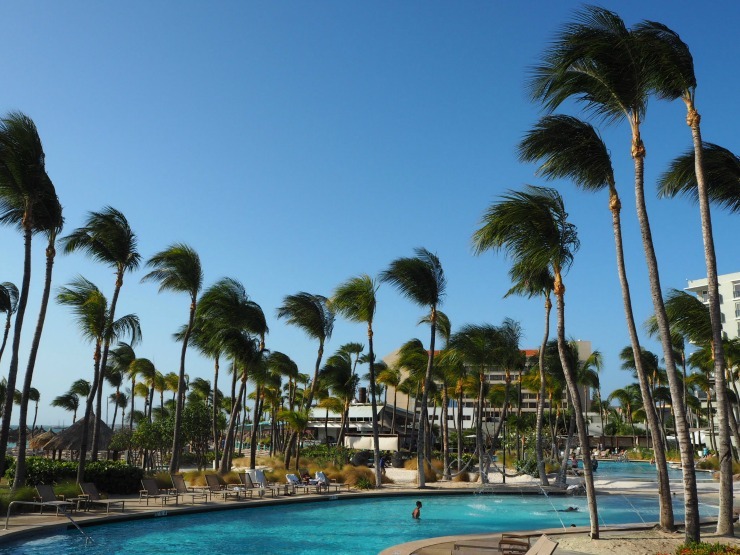 The Hilton Aruba Carribean Resort and Casino is set on Aruba's beautiful white sand Palm Beach. 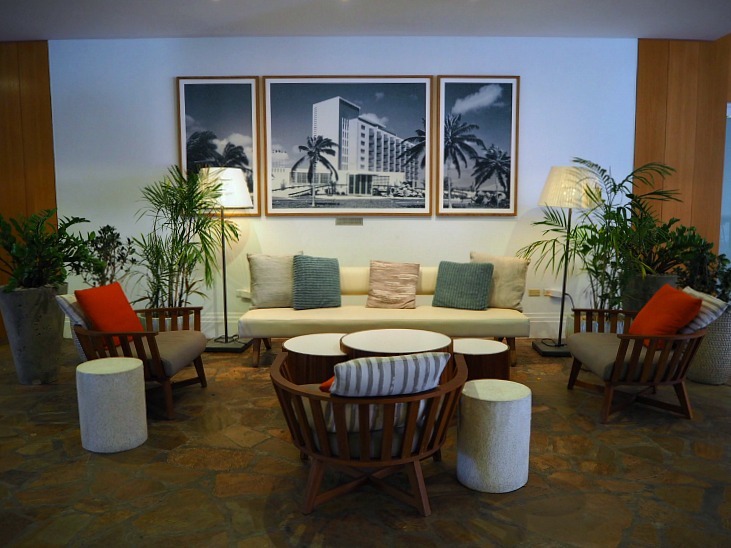 Situated a short drive from the airport and 7 miles from the capital of Aruba Oranjestad, it's well positioned to explore Aruba, a relaxed island in the Caribbean. I stayed there recently as part of a press trip to Aruba with the Aruba tourist board, to raise the profile of Aruba to British tourists. Lucky me! I hadn't been to Aruba before so I was super excited to see what the trip would bring. 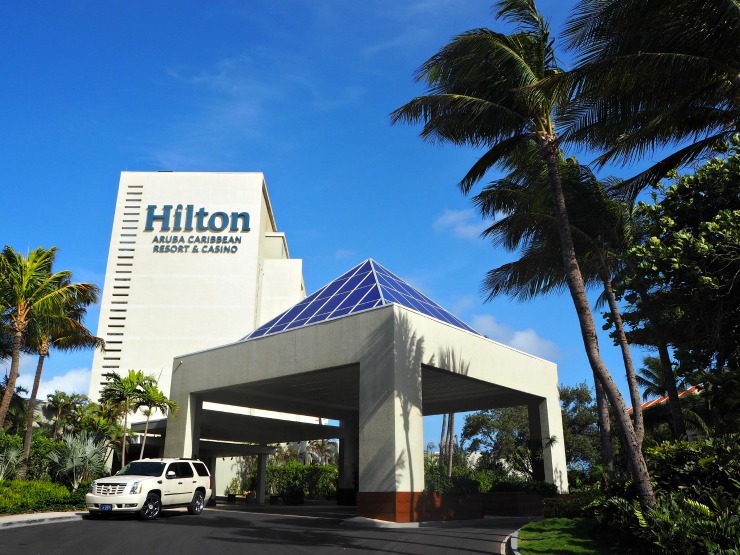 I've stayed in Hilton hotels on numerous occasions and know they always represent a good standard of hotel so I was looking forward to my stay. Check in was efficient and a warm Arubian welcome was given. Staff were very friendly and invited me to try the cooling Aruba Aloe Vera drink, a welcome relief from the heat outside. A nice touch! I was given a room on the second floor overlooking the main resort. The room was spacious, with a large king sized bed, a table, a chair and desk and another comfy armchair. The decor was in muted shades of grey, white and beige, but corporate it was not. 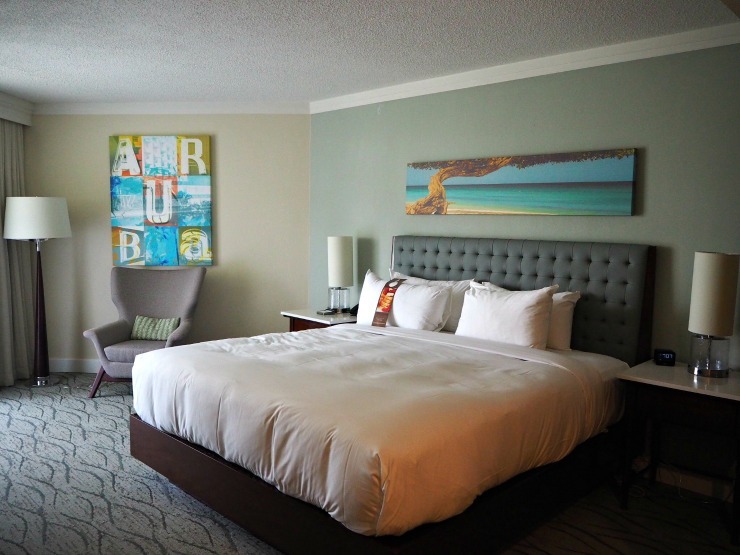 I really loved the Aruba print on the wall and the colourful canvas design above the bed of the local beach and crystal blue sea. A nice touch of vibrant colour! Built in the late 1950's this hotel was refurbished in 2016 to a high standard and it showed. 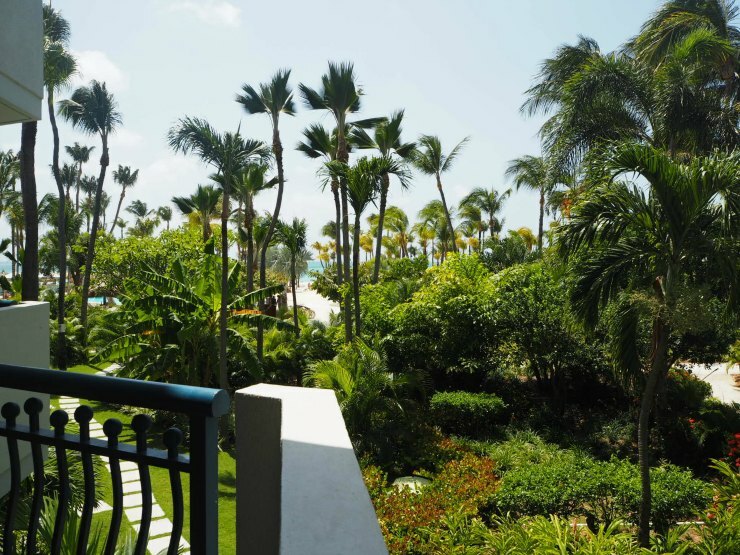 Every room has a private balcony or patio to watch the famous Caribbean sunsets. Rooms were well appointed with complimentary toiletries, robe, slippers, complimentary water, and a coffee machine. 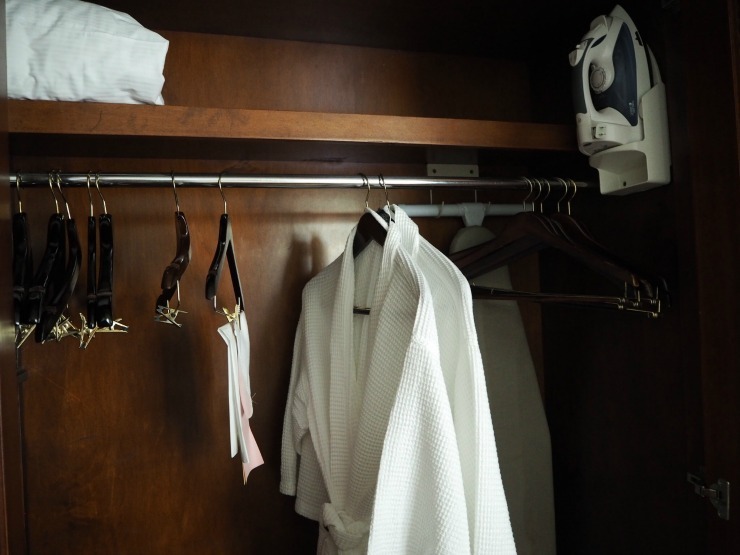 With the toiletries was complimentary mouthwash and combined with other touches like the robe, slippers and complimentary water, which you don't get in every hotel room, it made the stay feel just that little bit more luxurious than most hotel stays. I also really liked the fact that there were USB chargers built into the lamps so you could charge your phone or laptop easily with just your USB charging cable. A great touch, so essential these days and no need for an adaptor. Just for your information, Aruba is on the same voltage as the USA so you need to take USA adaptors for other electrical items like laptops if you are from outside of the states. A safe and fridge were also very welcome in the room. There was no mini bar but the fridge was empty so you can stash away your own drinks and keep them cool. Every room has a private patio or balcony and the view from my room was lovely, of the lush green plants and trees in the resort. I could even see the sea peeking through the trees. What a pretty view and a lovely place to sit! So after putting away my clothes and freshening up, I decided to explore the hotel more and went off for a wander. The foyer was large with a reception, some areas to sit, a concierge area to book tours, and a general gift store. A coffee shop called Smit & Dorlas, and the signature restaurant, Sunset Grille was also in the foyer. 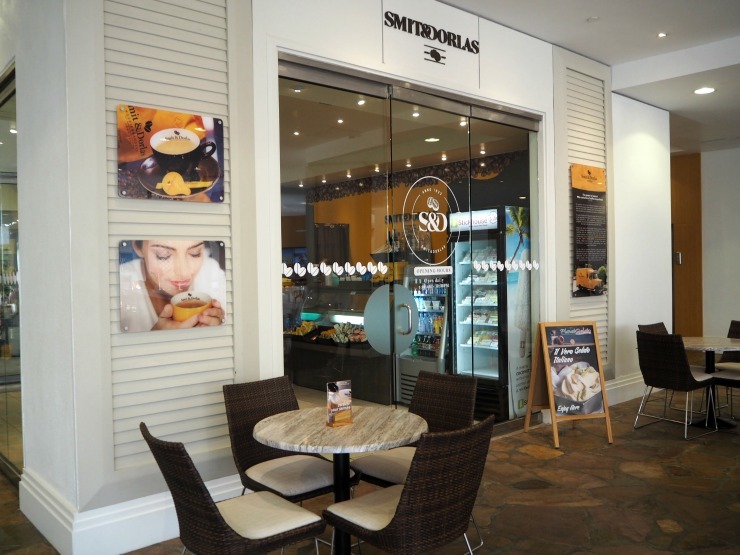 Smit & Dorlas serves freshly brewed gourmet coffee, and a range of teas as well as sandwiches and pastries, snacks and some amazing looking ice cream, such as a Snickers inspired recipe. It is also open from 6am to 10.30pm so perfect if you don't want a big breakfast, need a snack, or coffee hit later in the day. 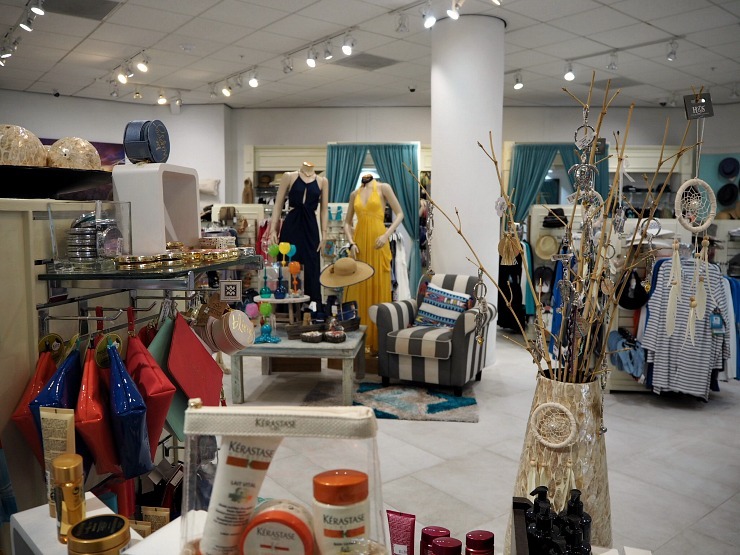 The general gift store sold a variety of items including beachwear, clothing, sun cream and gifts as well as snacks, soft drinks and wine. 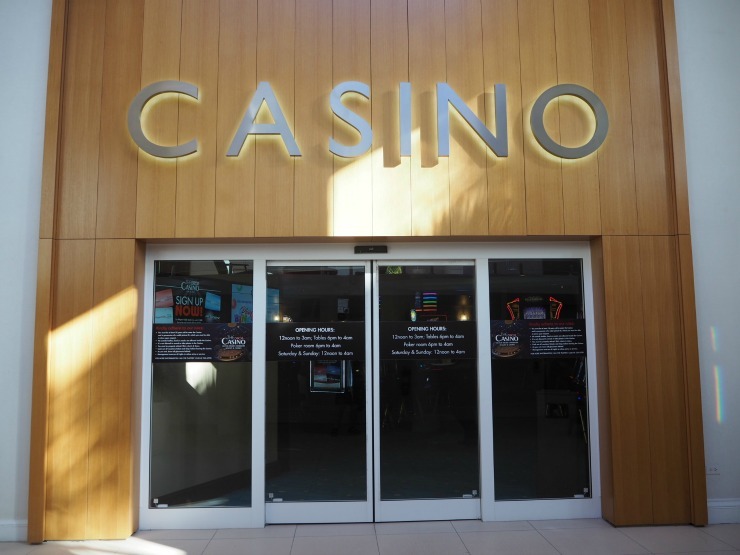 Just off the foyer too was a medium-size casino with a large range of slot machines and a few gaming tables. I had a little look inside, purely for research purposes of course, and was impressed with the 'starlit' sky! The slot machines were from a few cents each, so if you liked a little flutter you could have a go and not spend a fortune. There is a variety of gaming tables including blackjack and poker and they also have daily bingo too. Next to the foyer is the Mira Solo bar. 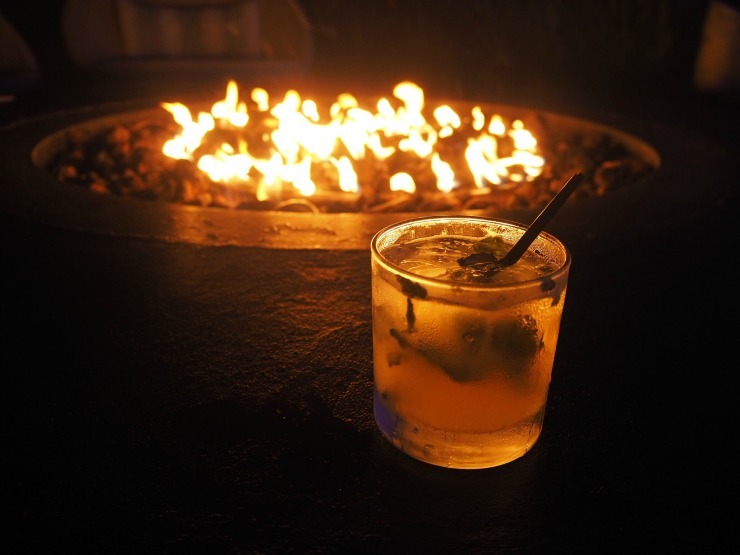 An outdoor lounge which is open to the cooling breezes, with live music, a menu of cocktails, wines and beers and a small bite menu. Sample dishes include mouthwatering appetizers such as Caribbean chicken wings and crab cake sliders. 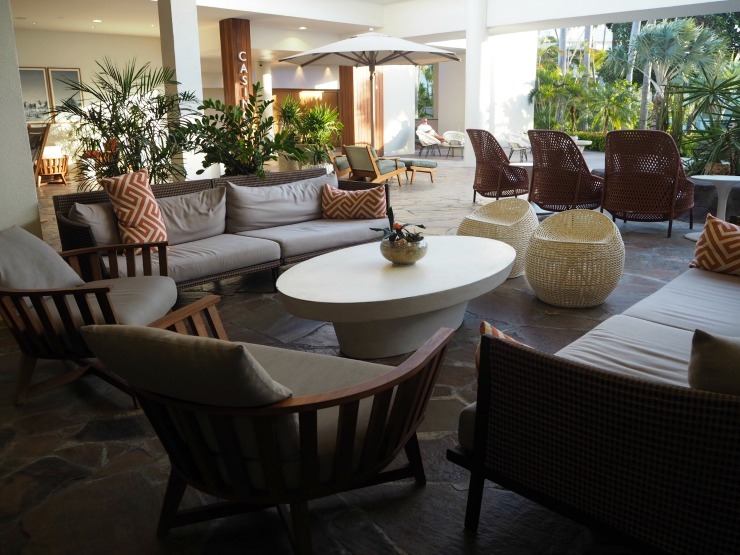 The two pool areas in the hotel were exceptional, one a lively area and one a more chilled out and quieter space. Both the lively pool and the quieter pool had zero / shallow entry, perfect for kids. The lively pool had a host of activities such as Aquacise and pool volleyball too. You can rent a beach hut to relax in for a service fee that covers towels. They looked a cool place to chill out in, whilst providing some much-needed shade from the Arubian sun. Perfect for families or couples, and when we are talking about families, the hotel has a kids club too called Shoco Land which is for kids between the ages of 4 and 12. 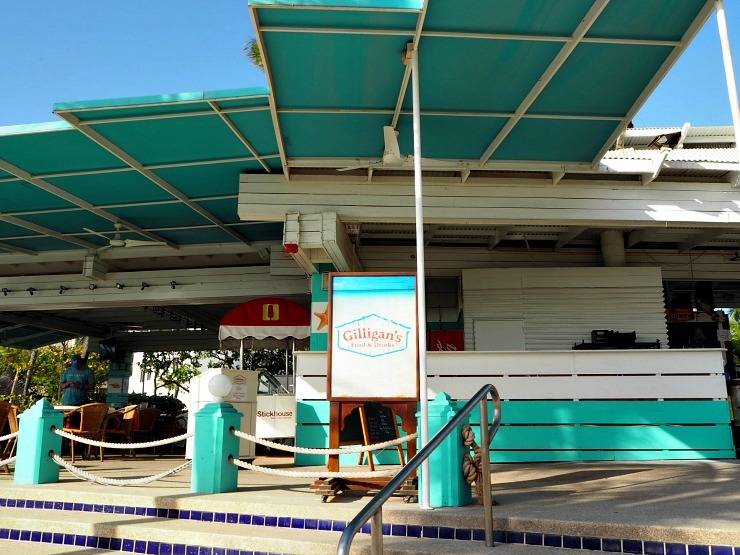 Virtually on the beach is Gilligan's seafood shack. With a mix of casual seafood mains like lobster roll, grouper sandwich, beef burgers and quesadillas, it looked a great spot to grab something tasty to eat. To sit there with a cold beer and a view of the sea was the best with though. So after a day relaxing in the hotel, that night I went to the Sunset Grille with my friend Anna and Paula from Aruba Tourism. 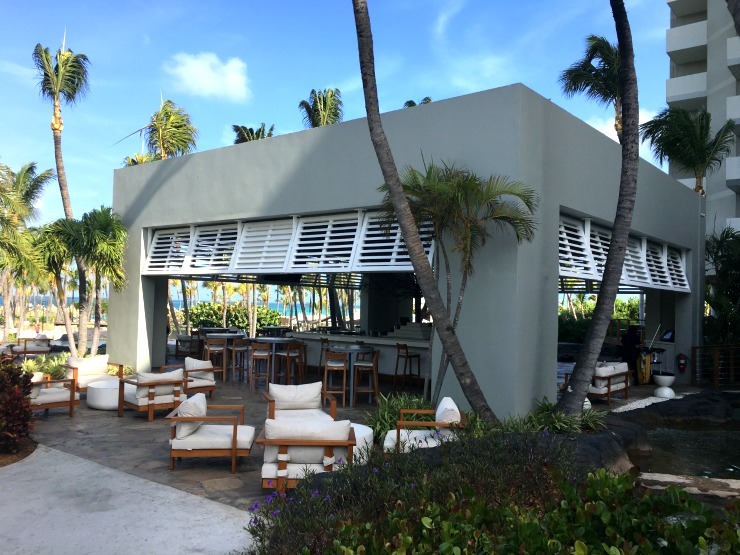 The Sunset Grille, the signature restaurant is stylish and chic inside. It's certainly a place where you can dress up, but also it wasn't stuffy at all. The menu consisted of well thought out salads, 100 percent Black Angus beef steaks, amazing sounding chops, fresh fish and seafood. It has something for most people and was the most upmarket eatery at the hotel. I ordered the burrata with pesto and tomatoes and the shrimp scampi. The food when it came was very well prepared. 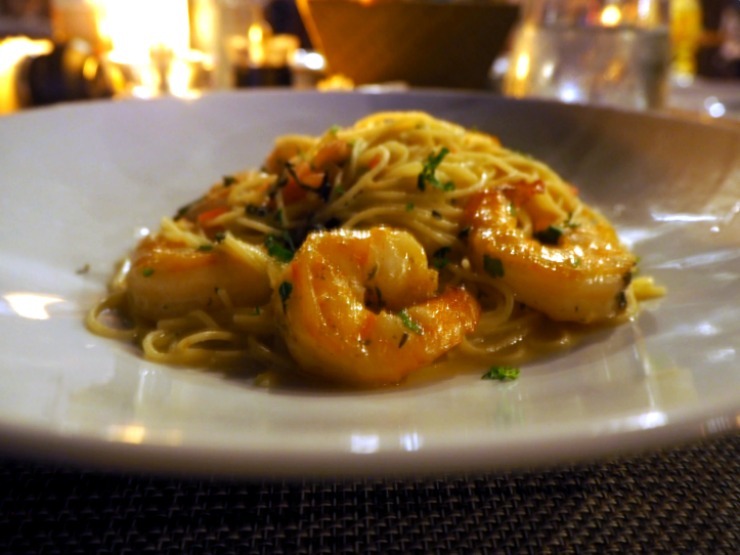 I really enjoyed my shrimp scampi made with garlic, the freshest tomatoes, a smattering of basil and a dash of white wine. Perfection! It was lovely sitting in the outdoor area, looking at the sunset and eating the finest food too. I just wish I was there with my husband as it would have been quite romantic. So tired after a long day travelling, that night I retired to my very comfortable bed for the best night sleep I had in ages. 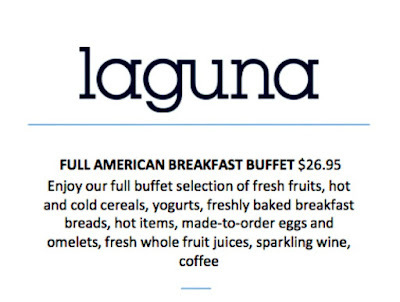 The next morning I went down to breakfast at the Laguna restaurant. The Laguna restaurant was in a beautiful setting with a view of a koi carp pool. It certainly was an idyllic spot to sit with your breakfast. The breakfast options were A La Carte or buffet style. I had the buffet and with such a variety of choice, I felt well and truly spoilt. 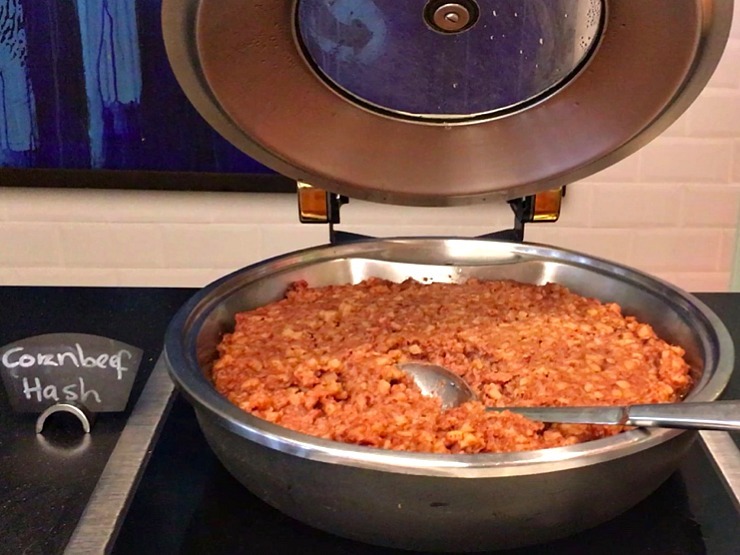 The breakfast included pastries, bagels, a variety of bread, fresh fruit including papaya, cereals, fruit shots, juices, sausages, bacon and other hot choices that varied every day like corned beef hash, quiches and burritos. If you wanted a smaller breakfast you could order a bagel, fresh fruit granola and yoghurt or a continental breakfast plate too. My favourite section was the made to order omelettes cooked right in front of you. 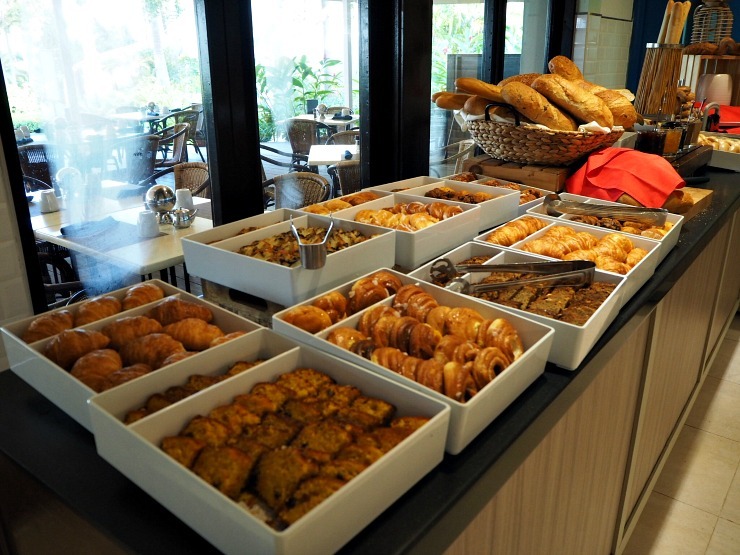 I must say that I have been in a few Hilton hotels around the world, and the buffet breakfast is one of the best I've come across in any chain hotel, in fact, in any hotel. Staff were attentive, clearing plates quickly and bringing any requests to you. Lilian was really friendly and personable and spent time chatting with me about my travels. I must admit I looked forward to my breakfast in the warm Arubian heat with a relaxing view and the wide choice of breakfast. It was fun to see how it differed every day too. I really wanted to try the breakfast burritos one day but I was still full from my meal the night before, mental note, to keep room for breakfast! 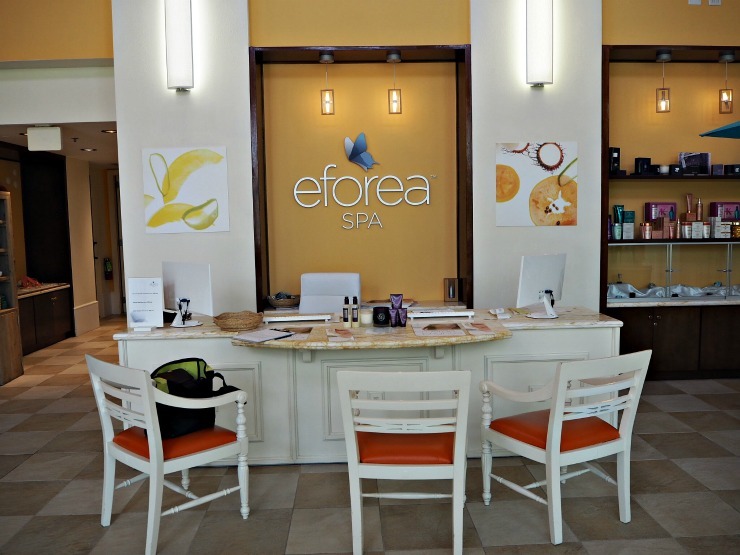 During my time at the Hilton Aruba, I visited the eforea Spa for a Swedish massage. As soon as you enter the spa, the relaxing music and calming decor make you immediately start to unwind. I don't know about you but I can sometimes find it hard to switch off - well I had no problem here. After a brief health questionnaire, I was given a robe and slippers and shown where to change. 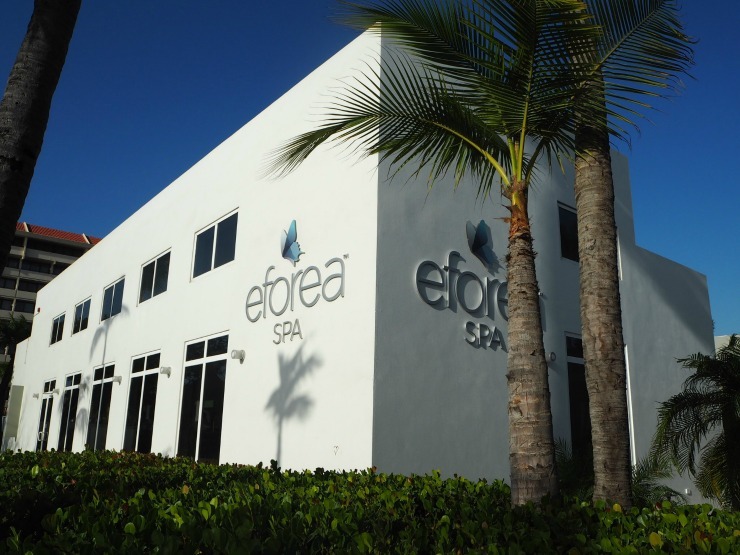 At the eforea Spa, they use only the best natural products from ESPA, and I was given a full body massage from a very competent masseur with a luxurious coconut massage oil. Unfortunately, I didn't catch her name, but this lovely lady who was from Jamaica had been working at the hotel for 20 years and was an expert at putting me at ease. So important when you are having a personal treatment like this. After the massage, I was offered a glass of champagne or orange juice and was invited to sit and relax in the communal areas. The spa also has a sauna, steam room and plunge pool that you can make use of before or after your treatment, showers and changing rooms. 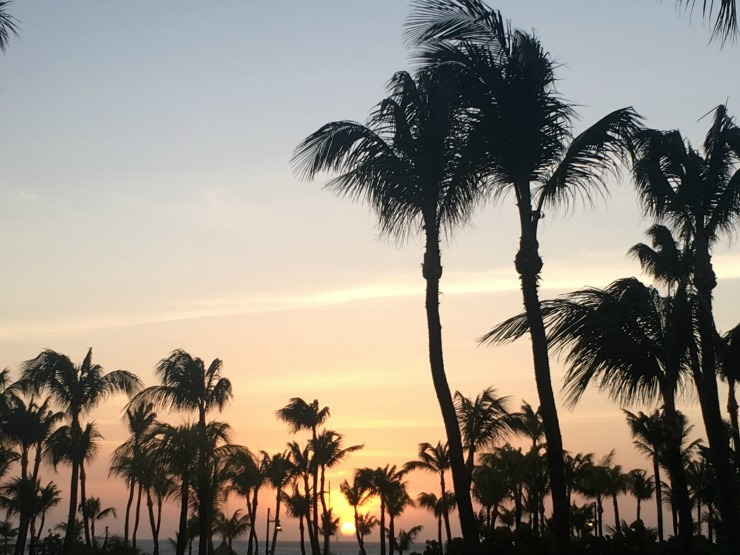 That night I sat on my balcony and took in the famous Aruba sunset, thinking life couldn't get much better than this. and slept soundly until the next morning. My time at the Hilton Aruba Caribbean Resort and Casino was unfortunately up but I had the best time ever. 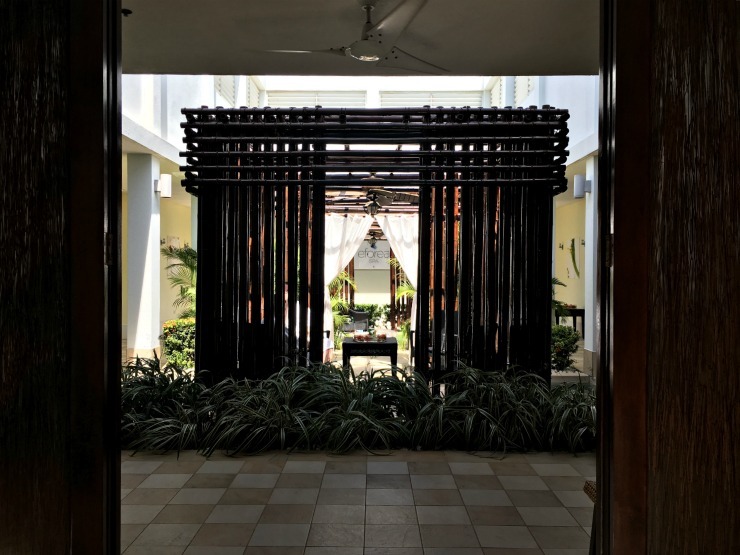 I have only touched on the various restaurants, activities and services this hotel offers, and you can easily spend a week here without ever leaving the hotel. If you are looking for a luxury resort in Aruba, with the most idyllic beach location, friendly staff, tasty food and a Trip Advisor Certificate Of Excellence, then come to this hotel. You won't be disappointed. Highly recommended. 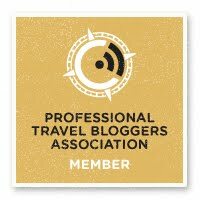 *I was offered a complimentary stay as part of a press trip with the Aruba tourist board. Wow you lucky thing. Aruba looks like a stunning place to visit. The hotel you stayed in looks great with a lovely spacious room. 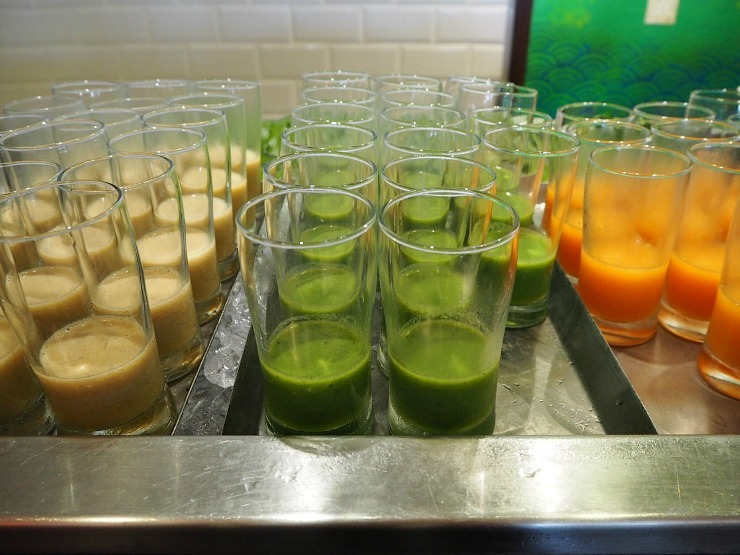 I love that there is so much fresh fruit and fruit shots! There was a lovely display of fresh fruit and included local papaya too. What a place to stay at? You are so lucky...the views are stunning, the food looks delish and the lounge looks so inviting. 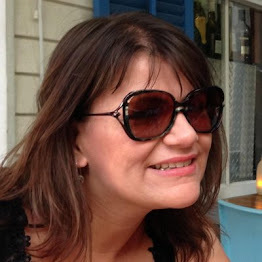 What a fabulous holiday this was! It looks like a lovely hotel. 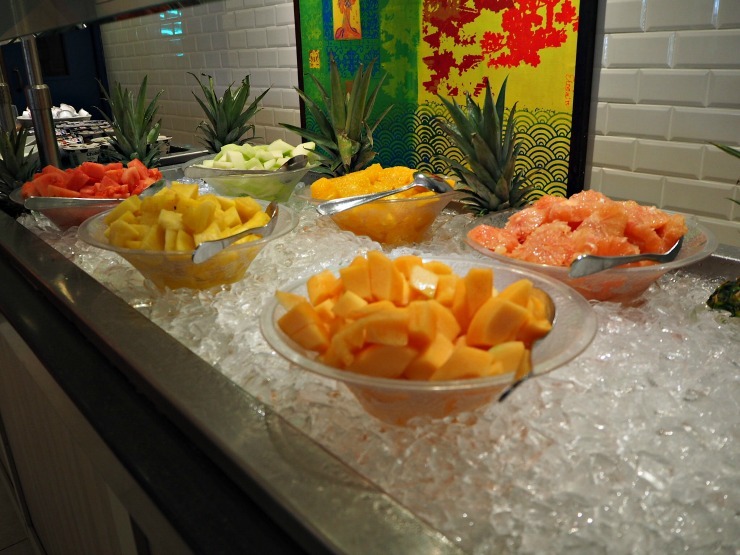 The fresh fruit for breakfast looks great, I always want lots when I'm on holiday so good to see there's a delicious looking spread. 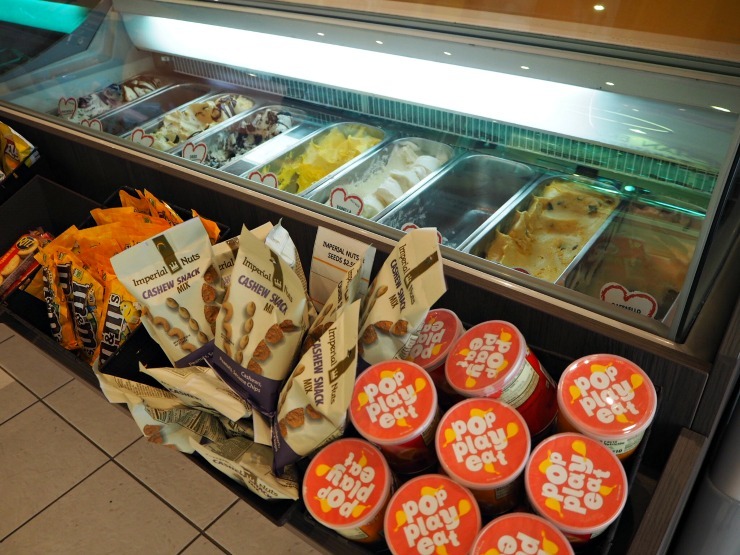 You are spoilt for choice at breakfast. I do think that the Hilton hotels offer the best buffet breakfast of any chain hotel I've been to. 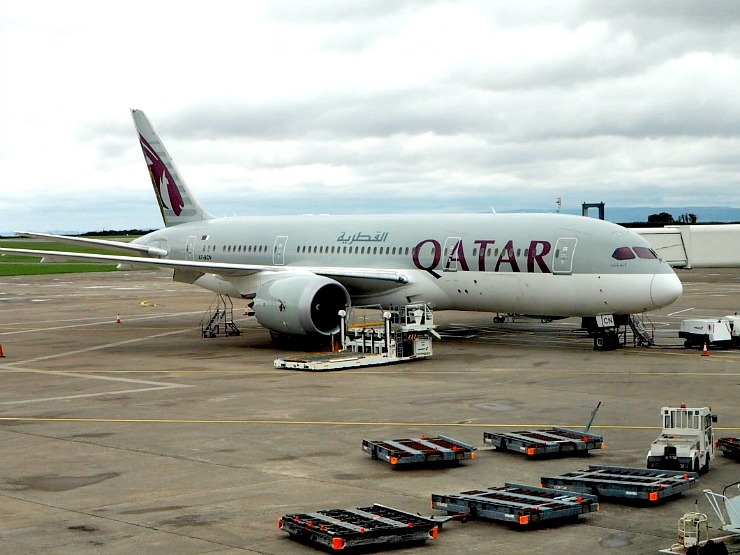 I love the Hilton, I am a member of their loyalty program and always choose them if there's a hotel available at the destination I'm traveling to. I recognize their style in your post and it's nice that they keep it, no matter where the hotel is situated. It was such a lovely place to sit and watch the sun go down. They must use the same ones in all their hotels. I think it's great that they provide mouthwash too. I really only play the slot machines that are a few cents and if you are mindful of spending a set amount, then I think its a fun way of spending an hour. Oh goodness, what a beautiful place to stay! The food looks amazing too. What a stunning hotel! It looks really luxe and amazing. 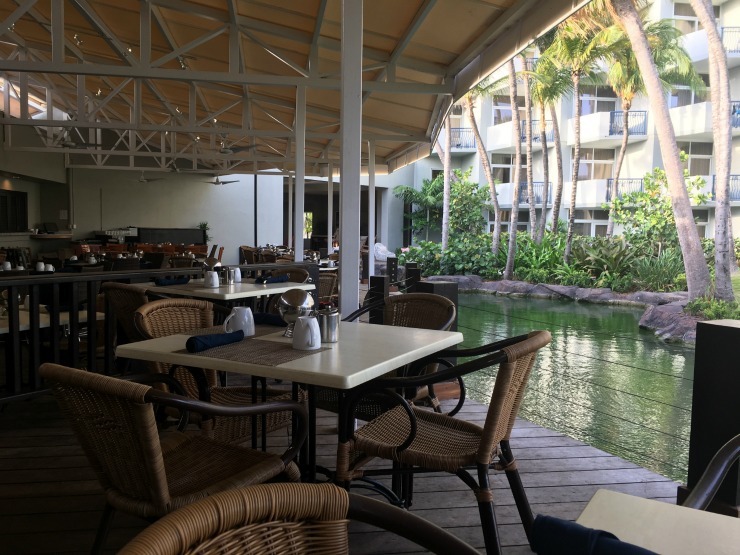 Eating on the terrace next to the koi carp pool must be so relaxing. I know Vicky. It is work though but what work it is! Wow, what an absolutely breathtakingly beautiful place that resort is! So much to see and do. Wow! That looks like a paradise. I would really love to visit that place someday. Your photos are so inviting. Glad you like the photos Angela. This place is a paradise. Everything is just so lovely. Who wouldn't enjoy staying in such a fab place? That's a fair point Lauretta! 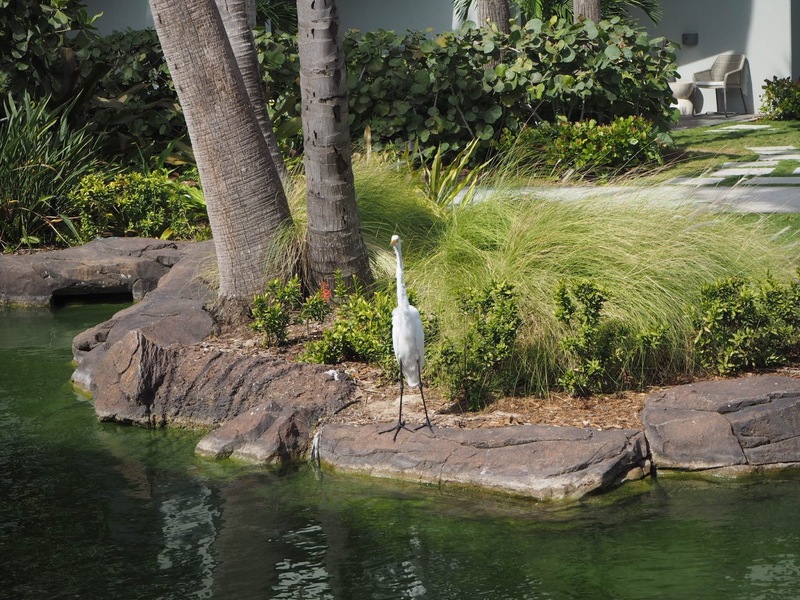 The rooms are very modern and fresh, looks like a great resort that offers a great deal. It's a beautiful island. 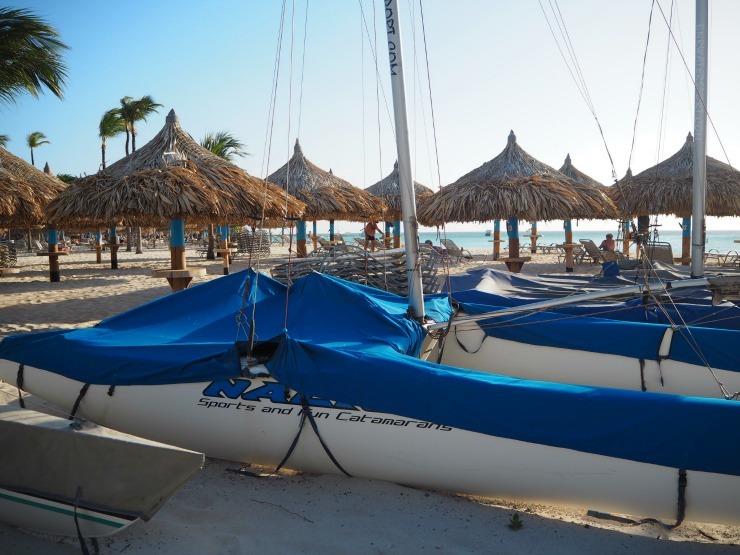 My post about Aruba will be going live soon Laura so don't forget to check it out. Fridges are so useful aren't they? Oh wow what a gorgeous hotel! Your room looks delightful, and I know I'd spend a lot of time in that Mira Solo bar! Thanks for this review! Ah, I hope you get the chance to go one day! It was a pleasure to stay there, I was very lucky. My niece has just got back from Aruba too. It looks like such an amazing place to visit. Adding it to my ever-growing bucket list! That's lovely, did she enjoy her stay Louise? The food was really good and I loved the breakfast room setting, overlooking a pond. 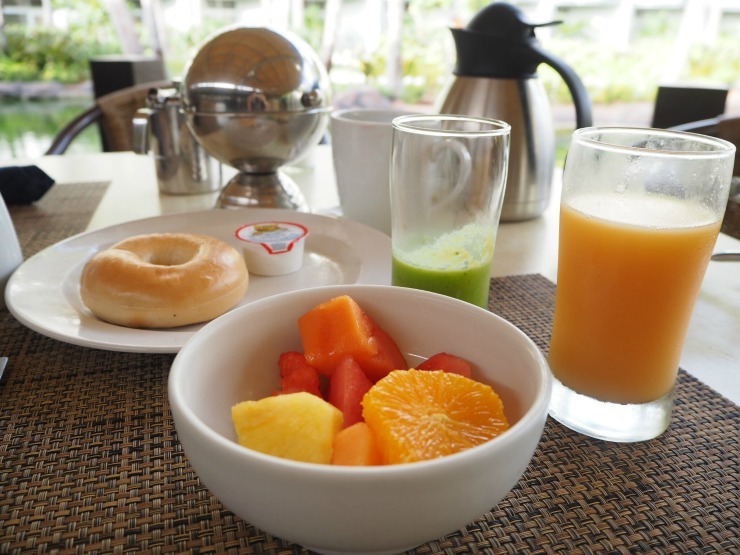 I have always loved the Hilton hotels and this one in Aruba looks amazing, look at the breakfast. 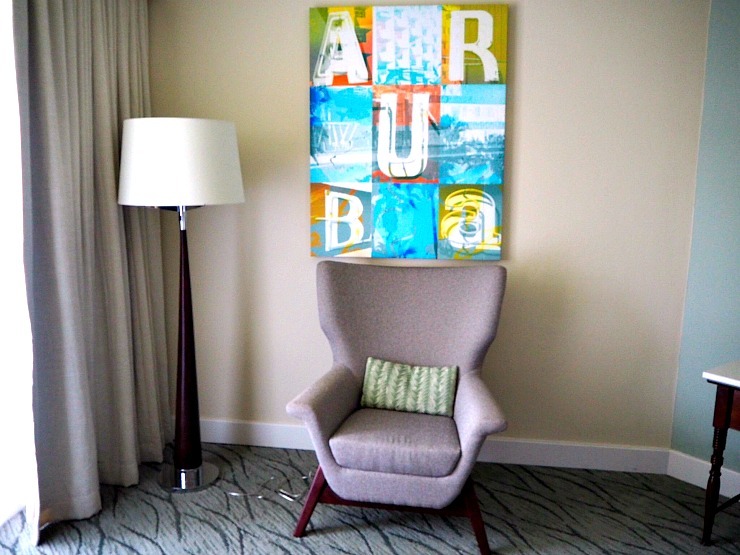 Oh wow the Hilton Aruba looks and sounds amazing. The rooms are gorgeous, especially the art work and the view from your balcony is stunning. 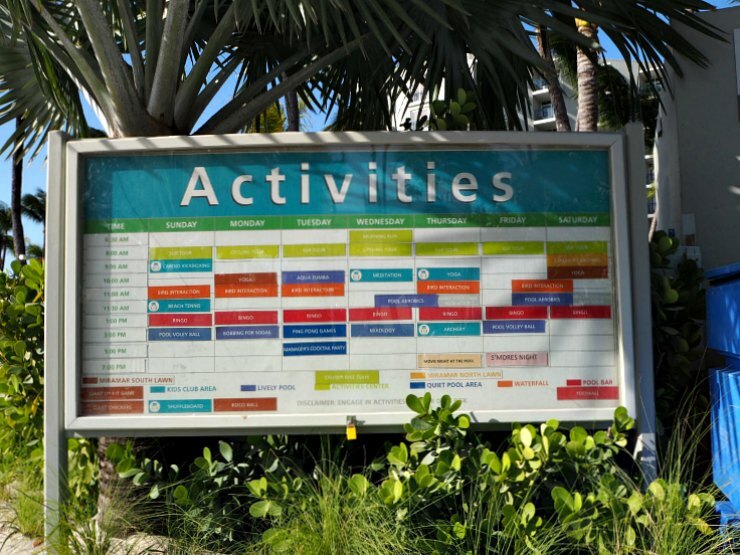 It sounds like there is loads to do there, you definitely wouldn't need to leave the resort if you didn't want to! 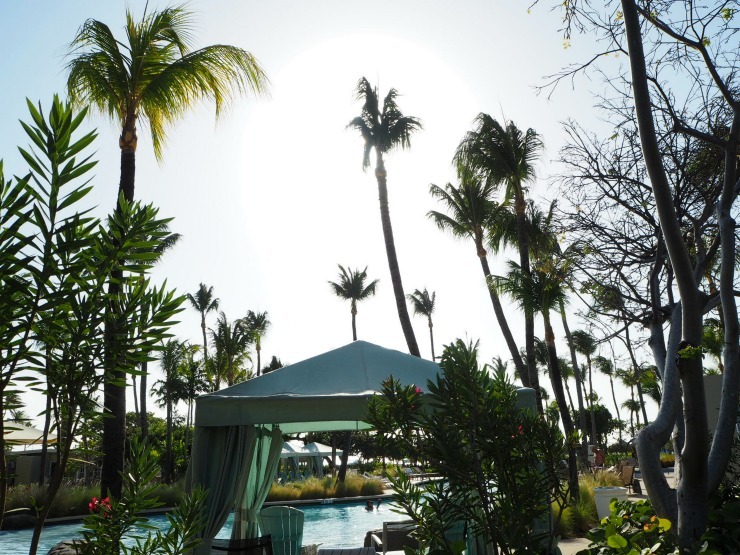 There was a lot to do in the hotel, so you could either relax or explore Aruba! That hotel rooms look bigger than my front room to be honest. 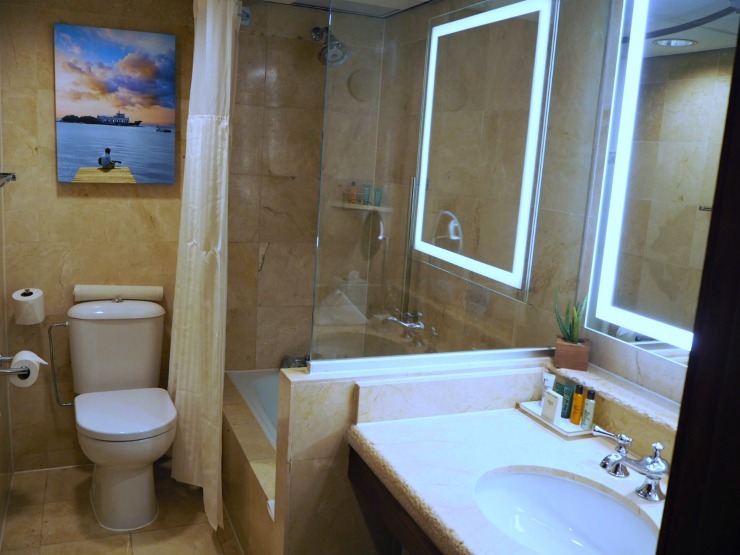 The bathroom looks like a touch of class from the tiling to the products available to try. I would be so relaxed here. Yes, the same for our flat too! So jealous right now. Never seen anything more amazing than this hotel and it's location I swear! The view from your room is gorgeous!! And I love that they had USB chargers in the bedside lamps. Also, all that food looks great! I had a really great view!